Now while I’m a firm advocate of home cooking with fresh ingredients from scratch as much as possible, there are some days when reaching into the fridge for something ready-made is just what I need. Particularly at the moment. Life is busy. My husband, who was doing most of the childcare, has got himself a new job, which is of course excellent news but does mean our routines have had to change big time now we’re both working, and easy meals are warmly welcomed. 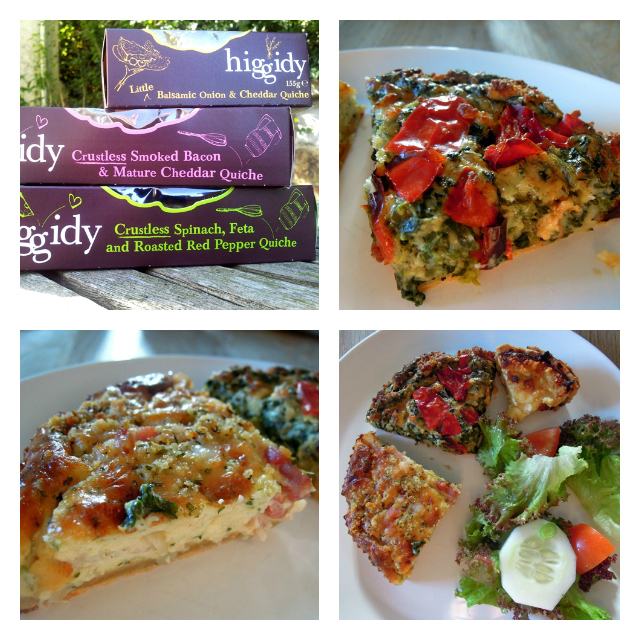 So when Higgidy invited me to review some of their quiches I practically bit their hand off. Shop-bought quiches can often be a bit of a disappointment with soggy pastry and bland fillings. But having tried Higgidy pies in the past, I was pretty sure their quiches would be a bit more interesting. And I wasn’t wrong. Higgidy quiches are good, really good, in a great range of flavours with that home-cooked look and taste, and light, crisp pastry. I tried out three different varieties on the family for tea the other evening: crustless spinach, feta and roasted red pepper, crustless smoked bacon and mature Cheddar, and a little Balsamic onion and Cheddar quiche. There were no leftovers and they got a big thumbs up all round. Not surprisingly, our resident carnivore, Mia’s favourite was the smoked bacon and Cheddar one, but the rest of us decided we liked the spinach, feta and red pepper best. But to be honest wouldn’t say no to any of them. I’ll definitely be stocking my fridge with a few of these in the coming weeks and months, I reckon. They might be a little more expensive than the supermarket own-brand variety, but I think they are worth it once in a while. 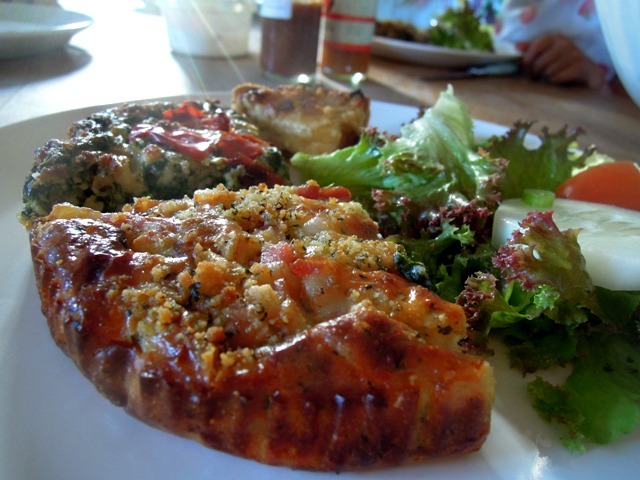 Disclosure: Higgidy provided complimentary quiches for review purposes. No money exchanged hands and all opinions are totally my own. We had some Higgidy quiches at the cake and bake show earlier this year – you’re right, they are very good and much more imaginative than the standard cheese and onion which is usually the only vegetarian option!